Aylward limped off during Kilkenny’s league semi-final victory over Wexford. GER AYLWARD WILL miss Kilkenny’s Allianz Hurling League Division 1 decider against Tipperary this weekend after failing to recover from a hamstring injury. The Kilkenny People writes that Glenmore clubman limped off in the closing stages of his side’s league semi-final victory over Wexford after scoring two points. He has not been included in the match-day squad for the clash with Tipperary at Nowlan Park on Sunday [Throw-in 3.30pm, TG4]. Cody has named an otherwise unchanged team for the final, with Alan Murphy coming in to replace Aylward in the Kilkenny attack. TJ Reid retains his place in the starting side after top-scoring for his side with 0-15 (11f) in Innovate Wexford Park last Sunday. The clash between Kilkenny and Tipperary will form part of a double-header with the Littlewoods Ireland Division 1 camogie decider between Kilkenny and Cork [Throw-in 1.30, TG4]. Email “Injury rules out Ger Aylward as Kilkenny team named for league decider”. 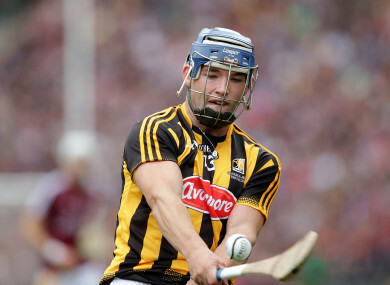 Feedback on “Injury rules out Ger Aylward as Kilkenny team named for league decider”.